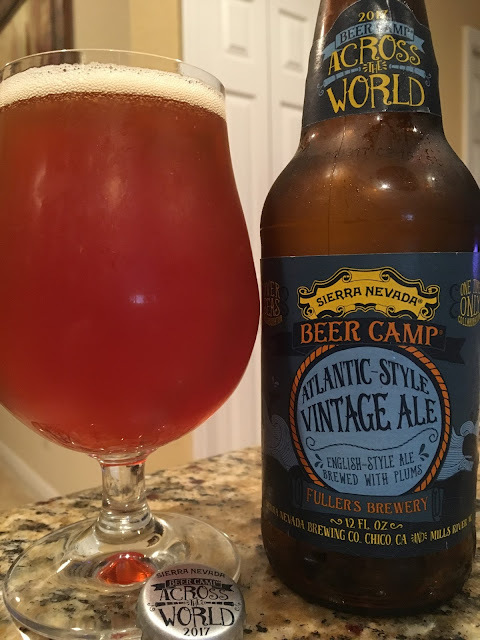 I know I only told you about one of the others so far, but this year's Sierra Nevada 2017 Beer Camp Beers Across the World is AWESOME. Definitely worth the $25! Plums show in the aroma. When you take your first sip, you know that the beer is strong while super deceptive at the same time. Plums come first, playing with other fruity nuances, maybe some strawberries. Base beer is rich with some toasty, fruity, herbal flavors. More fruitiness beyond the plum addition, maybe some raisins too. Nuances of sugar, toffee, candy, syrup, all sweet but controlled. 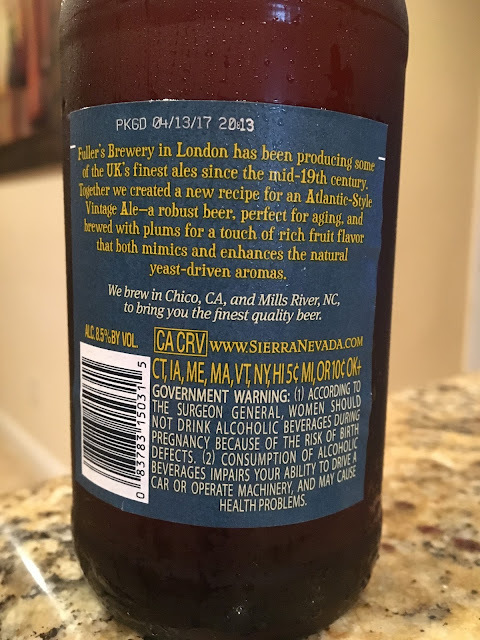 A LOT going on in this EXCELLENT BEER! I loved it!